I've jokingly said that if I knew how long and how painful the healing journey was, I wouldn't have started. Some days that's how I feel, and I ask myself, "Why did I start this journey?" In my worst moments, it seems as if the healing takes place one day at a time, or perhaps even one small step a year. And yet I know I'm moving forward. My healing is taking place. The intense anguish and sometimes stinging feelings tell me that I am moving forward. On my best days (and they're becoming increasingly more often) I tell myself, “I’m glad I struggled and fought for my healing. It’s been worth re-experiencing the pain." The pain would be worse if I didn't deal with it. Those of us who were sexually molested yearn to be healed. Sometimes we get impatient. We tell ourselves we ought to be free of the painful memories and horrible effects of our assault. 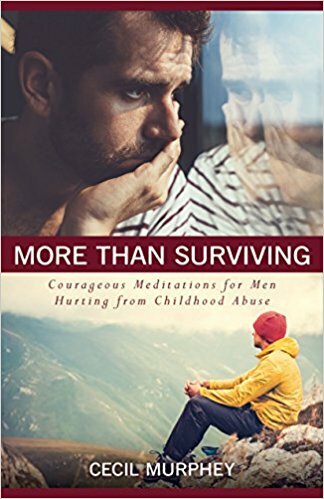 About two years after facing my abuse, I often heard myself saying, "I should be healed by now." When I spoke those words, I didn’t understand the per­vasiveness of molestation. I wanted to be completely free from my past abuse and to have the memories wiped away. Life doesn’t work that way. Healing is a process—and the word process means that the changes don't happen quickly. When I consider process, three things stand out. First, sexuality involves our total selves—mind, body, emotions, and spirit. God created us that way, and sexual­ity is a powerful force in our lives. Second, our abuse took place in secret, and it happened when we were young and innocent. We lived with our hidden anguish for years. Third, it took a long time before we were ready to face our pain and reach for healing. Deep healing comes slowly. To acknowledge that reality is a powerful factor in learning to endure. Be kind to yourself. Think of each day as taking you forward toward a full resolution of your pain. As Alcoholics Anonymous says it, "One day at a time." I'll be patient with myself. They can rattle in my soul like old bones—brittle and broken. They can scrape against me like bad brake pads, metal on metal. They can wound and bruise and cut and batter me mercilessly every time I think of them, but only if I let them. It's taken me years to understand something crucial to my recovery from childhood sexual assault. The memories have only as much power as I will give them. This sounds easy enough, but don’t be fooled. The trauma is real. The memories are potent. The reality that an older male raped me is just as disgusting as it ever was, but somehow, little by little, the power of it can be sapped, the pollution of my mind cleaned up, and the venom of the bite be drained as I heal one day at a time. It happened and nothing can change that fact. But I can change how I respond to it now. The choice I have today is to let the abuse make me bitter or better. There resides in the human soul the power to let the past find its proper place as we pursue the present with all our heart, soul, mind, and strength. 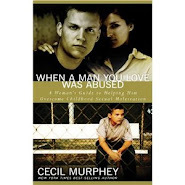 I was abused, yes, and forced into the role of a victim. But right now, today, in this moment I am living, I choose to be a victim no more. Today, I am an overcomer. In my experience, recovering from childhood sexual abuse is a lot like peeling onions. I have to do it one layer at a time, and it makes me cry a lot. There’s no way to deal with it all at once. Child abuse rapes the soul and creates abysmal depths of shame, fear, and psychological torment. It would kill anyone to face it all at one time. The deeper the wound, the longer the healing takes. When the emotional injury of abuse is discovered or uncovered for the first time, often our reaction is to cover it back up and ignore it. Either out of protecting ourselves (or our abusers) we tend toward denial and repression over bold and immediate therapy. My abuse happened decades ago, yet a therapist had to tell me two years ago that I had been criminally violated. People these days are put in prison for life for doing what they did to me. I'd made many attempts to deal with my past, but it wasn’t until I understood and embraced what really happened that I began to heal. A thick layer of the onion was torn away. As survivors, it may take us years to deal with the stratum of painful emotions that have compounded one upon the other, tier after tier, until it seems like there’s no way to get to the bottom. But if we can endure the peeling back of tender layers, feel the pain, and cry the tears, one day, we'll realize that our healing was worth the effort. 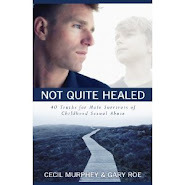 When it comes to recovering from childhood sexual abuse, hope is essential. Without it, there’s no chance of holding on until things get better. Hope is an anchor tossed into the future to help us get there. Hope is the soul’s seed that grows the healthy crops of emotional wholeness. We all need hope, especially survivors. At times, hope seems elusive. As a recovering person, I've gone through many seasons of outright despondency. I can’t count how many times my future seemed so dark and empty that I found myself depleted and discouraged. That's when my addictions can kick in, which leads me deeper into gloom and self-loathing. The vicious cycle of hopelessness, despair, and acting out fuels more vicious cycles. As a survivor, I tend to turn small problems into catastrophes. The future can be habitually in a state of calamity in my mind, and remembering hope is one of the greatest tools I’ve found to bring me out of it. Hope rises to the surface of my soul when I take a few moments to meditate on the current good in my life. It settles me down again in a way that nothing else can. My goal is to learn how to live in hope every day. One of the side effects of the childhood sexual abuse is the pervasive sense that I don’t deserve good things. Maybe it’s the way I was treated by my abusers, in that I was only worth what they wanted out of me. Or maybe it’s a self-imposed sentence that condemns me to languish in the land of ne’er-do-wells. I can’t shake the feeling that I’m undeserving of life’s simplest pleasures. Is it just me, or does everyone cower inside waiting for the next tragic thing to happen? If tragedy isn’t happening fast enough, am I the only one smart enough to choose self-sabotage as a means of controlling my circumstances? Isn’t something predictable— even failure—better than the excruciating fear of the unknown? The current of fear and the desperate need to control life runs deep. It’s not that I don’t want good things; it’s tough to believe that I should have them. And even more difficult to believe I deserve them. Someone else is always more deserving, better looking, or better qualified. Call it low self-esteem or the fact that I always sucked at sports. Regardless, I always seem to think I deserve to lose. Even my faith in God suffers on account of this. I assume that I'm the exception to grace. I’m the one who succeeds in out-sinning his forgiveness. I’m the one who stumbles on the unpardonable transgression and falls headlong into it. I’m the one who is mighty enough to predestine myself to eternal damnation because I certainly don't deserve heaven or happiness. A big part of my recovery is to accept and relish the good things that come my way. I have to choose to by-pass self-sabotage and make peace with the unknown events of my future, no matter how they turn out. Letting go of some of my control and trusting others again (including God) can be healthy choices and effective steps toward my healing. "That Boy Is My Hero"
Someone sent this to me, and I can't find the complete email. (My apology for not giving credit.) He wrote about his younger self having to make decisions no kid should have to make. "That boy had no one but himself to rely on, and as an adult I would never allow such things in my life. . . . That boy is my hero. I love that boy. When I think of that boy now I give him a mental hug and kiss and tell him, ‘It's okay. We made it. We survived.’ I thank him for his ingenuity in keeping me together during a very not-together time in my life. I am proud of him and I tell him so." "That boy is my hero." What powerful words from a survivor. And they are words of gratitude that we deserve to give to our younger selves. Because of his courage, he survived. We can say the same things: That boy is my hero. I know too many who may have survived by living, but they experience sad, depressed, and lonely lives. My young boy is my hero. I embrace him and thank him. Sometimes the loving rebuke of a friend does wonders for us. Immediately I think of one powerful experience. Four years ago in telling my best friend, David, about an incident, I called myself an idiot for something I had said. "Why do you talk that way about yourself?" he asked. "You're not stupid and it hurts me when you speak that way." That's an example of a loving rebuke—and I needed to hear it. As we continued to chat together, I realized how often I criticized myself. Then David said, "You don't talk about others with that critical tone. Don’t you deserve the same kindness as you give them?" The next day I began to make a self-affirming statement every morning: "I like who I am; I like who I used to be; I like who I am becoming." And I repeated it several times. I still say those words every single morning. I needed to learn to embrace myself—to love myself and to be patient and kind to Cec. It wasn't easy because I've long held him to a much higher standard than I have others. But I also prayed for God to help me feel compassion for Cec. I tried to envision him as something apart from myself. That's when I realized he deserved my acceptance and my loving embrace. I like who I'm becoming.